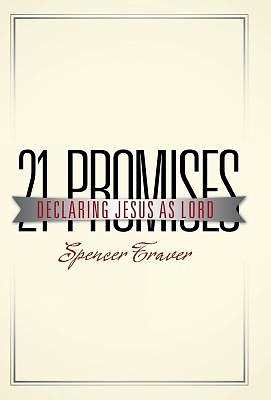 21 Promises combines the clarity of the gospel and the authenticity of life stories to accurately reveal the abiding promises of God displayed in our lives. In some cases, we fail to recognize God's presence as we endure present times. However, the beauty of the gospel comes to a brief fruition when we step away from the window and observe God's sustaining work arising in each of our days. The purpose of focusing on the promises of God found in Scripture originates from a lack of Biblical understanding in our generation. As young adults in a liberal society, the value of gathering an accurate understanding of God's promises remains crucially important. Friends, family, and professors might teach or share false ideas about God, prompting young adults to doubt his existence, his goodness, and his authority. With the help of Scripture, 21 Promises teaches adults, young and old, to understand with their minds and believe with their hearts in the unfailing promises of God. Likewise, the creative narrative of this book allows the reader to witness stories from a first-person perspective before reflecting on God's promises as a third-person party. In essence, the hope of this book focuses on the reader's observation of the promises of God displayed in Scripture and real life events, regardless of their history and knowledge of God. Without God's promises, we live confused lives; yet, he makes himself present and available through these divine revelations.